On October 24, 2016, the Texas Department of Agriculture concluded a referendum pursuant to Texas Agriculture Code, Ch. 80, and Texas Administrative Code (TAC), Title 4, Ch. 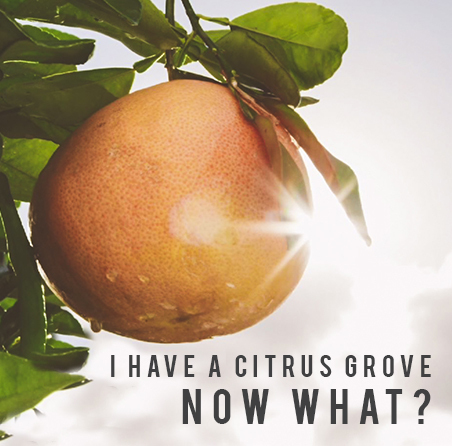 27, Subchapter B, for the establishment of a citrus pest and disease management zone, a maximum annual assessment rate and a board of directors to be administered by the Texas Citrus Pest and Disease Management Corporation (The Corporation). On October 31, 2016, The Texas Department of Agriculture concluded that the referendum passed establishing the Lower Rio Grande Valley Pest Management Zone, a maximum assessment rate of $125 per acre as well as electing the board of directors which include: James Bettiga, R.L. Dreibelbis, Jud Flowers, Paul Heller, Jim Hoffman, Dennis Holbrook, Fred Karle, Steve Lievens, Jimmy Pawlik and Bruce Sutton. The Texas Citrus Pest and Disease Management Corporation, Inc., a Texas nonprofit corporation, is now recognized by the Texas Department of Agriculture as the entity to plan, carry out, and operate suppression programs to manage and control pests and diseases, including the Asian citrus psyllid and citrus greening, in citrus plants in the state under the supervision of the department.